Finally! 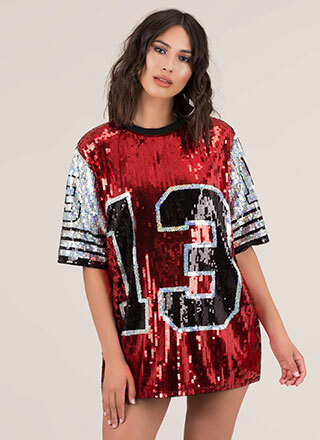 A dress as sparkly as your personality. Stretchy, strapless, sparkly two-piece minidress features a tube top and miniskirt that are sequined in the front and soft and velvety in the back. Matching set is finished with an elasticized bustline, an elasticized waistband, and no closures.